"Sixteen-year-old Jess Tennant has never met any of her relatives, until her mom suddenly drags her out of London to spend the summer in the tiny English town where her family’s from. Her mom’s decision is surprising, but even more surprising is the town’s reaction to Jess. Everywhere she goes, people look at her like they’ve seen a ghost. In a way, they have—she looks just like her cousin Freya, who died shortly before Jess came to town. “Words came into my head, unbidden. Secrets. Rumors. Lies. Words that should have warned me to stay out of it. Leave the dead in peace. Let sleeping dangers lie. A mysterious death has come and gone in Port Sentinel, a small English seaside town. Just when everybody has started to move on, the victim’s identical looking cousin visits and stirs it all up again. With such a beautiful title, How to Fall corresponds with not only Freya’s mysterious death, but with the lies uncovered, the constant deceptions, and as well as the aspect of falling in love. How to Fall has a wonderful prologue that really hooks in it’s readers. It creates a great sense of suspense as the audience moves along with the character and the prologue is told in the urgency or present tense. We get to glance into Freya’s last thoughts before she fell to her death, and it ambiguously sets the tone for the book. Jess, Freya’s cousin, spends the summer in this tight-knit seaside town, and is determined to get to the bottom of it. Was Freya’s death a suicide, an accident, or murder? I really loved the intrigue of the mystery. I did not, however, find any of the main characters very likable, which was a bit off-putting, but everybody likes different things. Jess seemed overly brusque, forward and rude. I understand her line of questioning in trying to solve her cousin’s mystery, but it got tiring when it continued to happen in even the simplest of conversations, and even with her own mother. I especially did not like her mother, who was absent, self-centered, overly depressive and completely un-nurturing. I still can’t believe the whole Dan Henderson thing, because she seems to care more about him than her own child. I fell like towards the end, the mystery sort of fell apart and took a backseat to a love story. It was sort of like the author wanted a way to quickly end the mystery and continue with what may be a set-up for another book. I’m really into mysteries, so this was a bit of a disappointment. 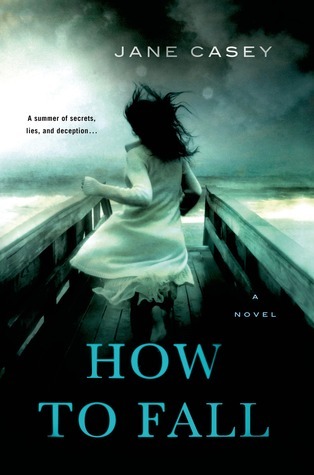 With a plot of suspense, romance and mystery, How to Fall guides it’s reader’s on what led up to the death of a seemingly normal teenager. How many secrets does this little town hold? You’ll find out, once you learn How to Fall.